A peek inside my RocioG Pouch! These are some of my essentials: Laura Mercier compact, Fresh lip gloss, Kate Spade Readers, Zone bars, Passport, IPHONE (with animal case for my son :)), Jacarandahome.com color thread chart. What are the essentials in your favorite bag? 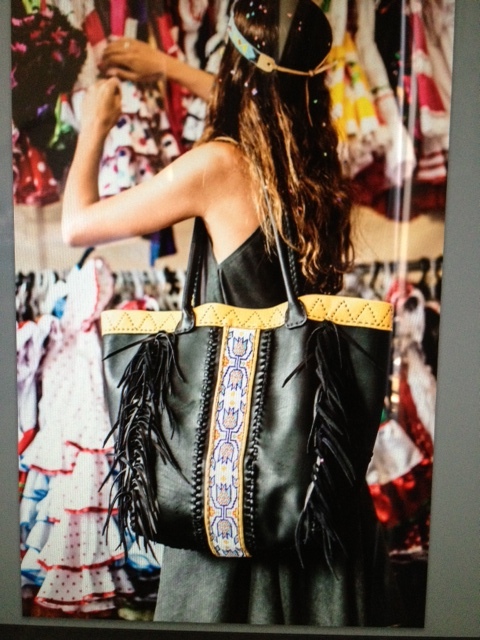 Love Rocio Gonzalez's new totes! Having fun at the farmer's market in Santa Monica.